You know what else is awesome about those tempeh wings I posted about earlier? Leftovers make a great sammich. 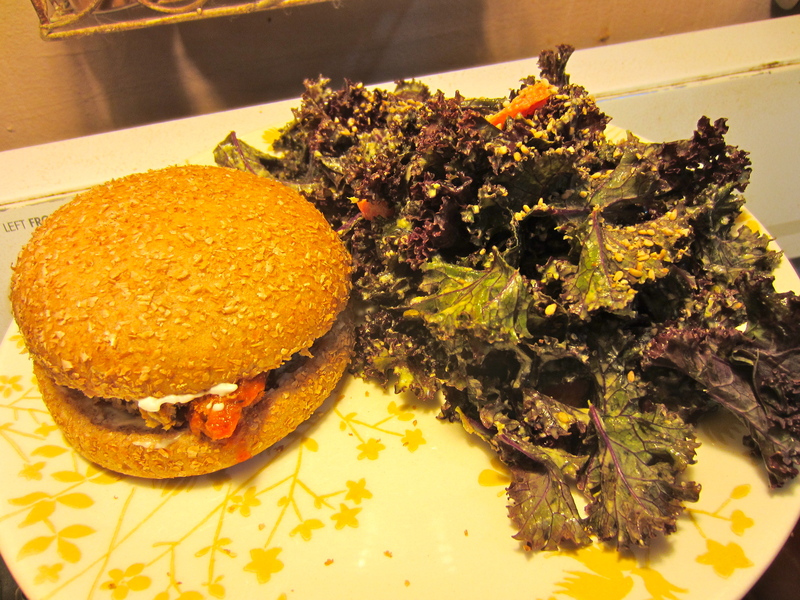 I heated them up on the George Foreman, slathered the bun in Veganaise and made a garlicky kale salad for the side, using red kale this time.